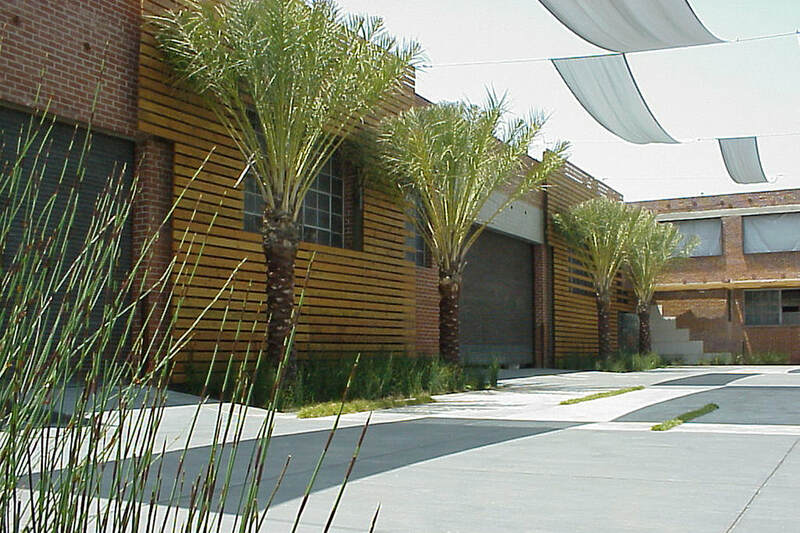 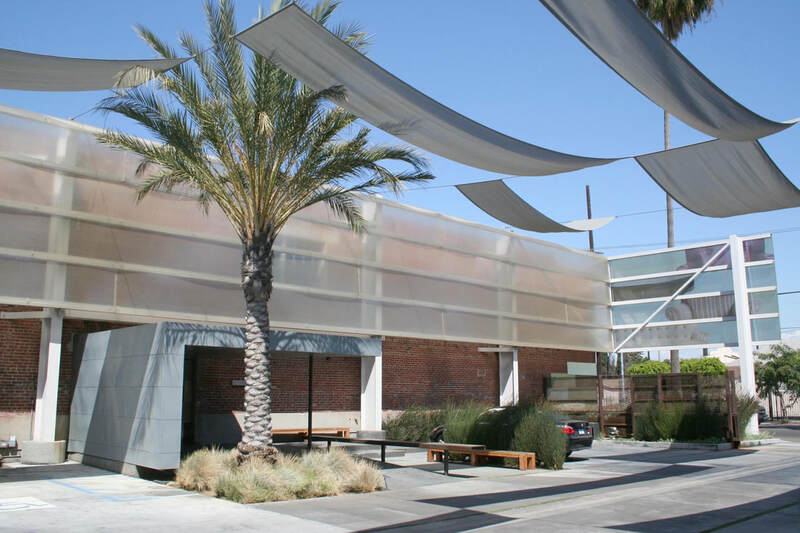 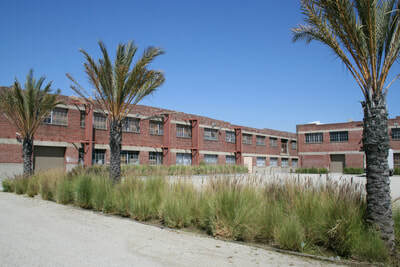 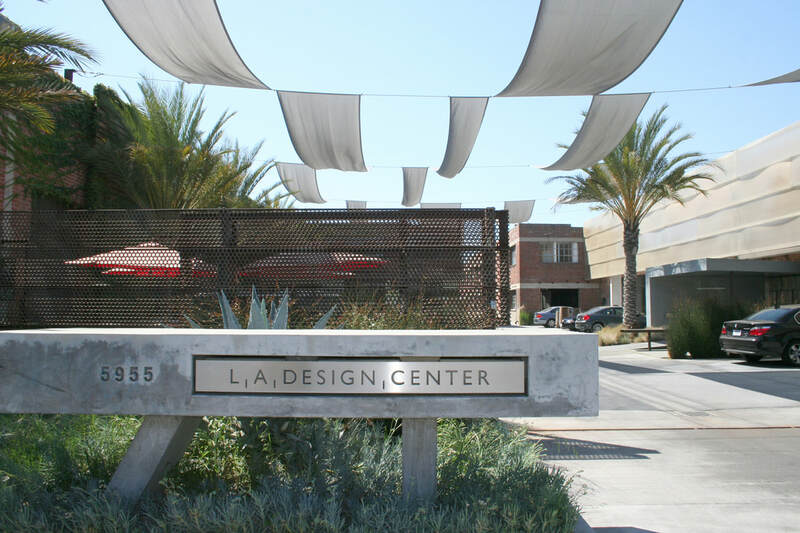 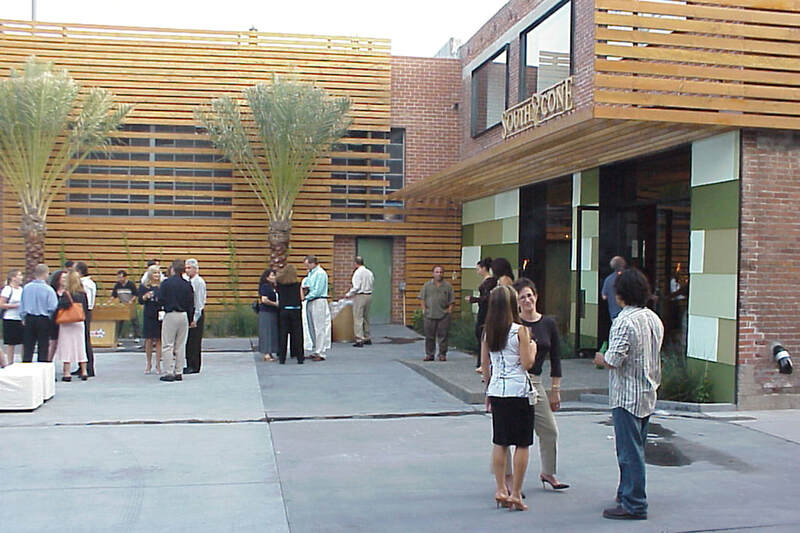 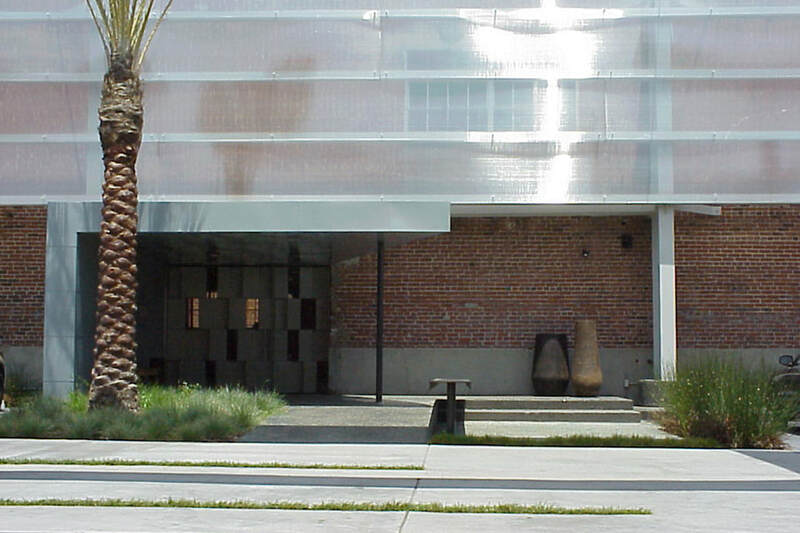 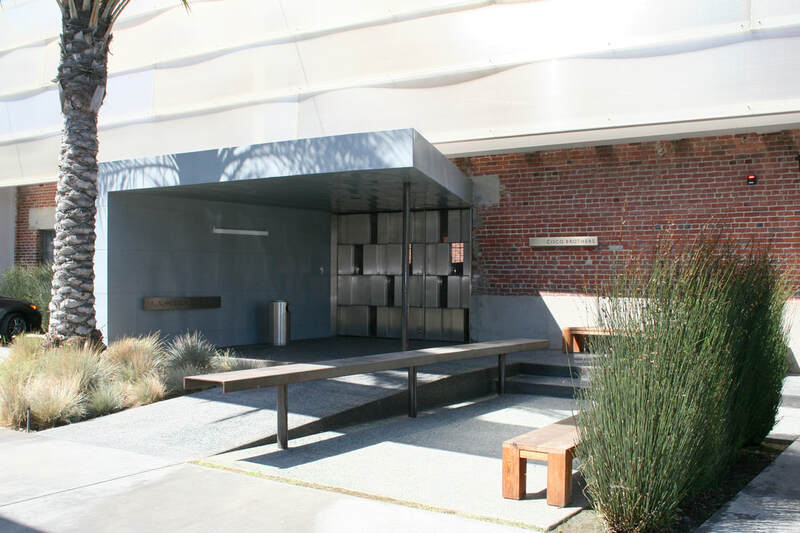 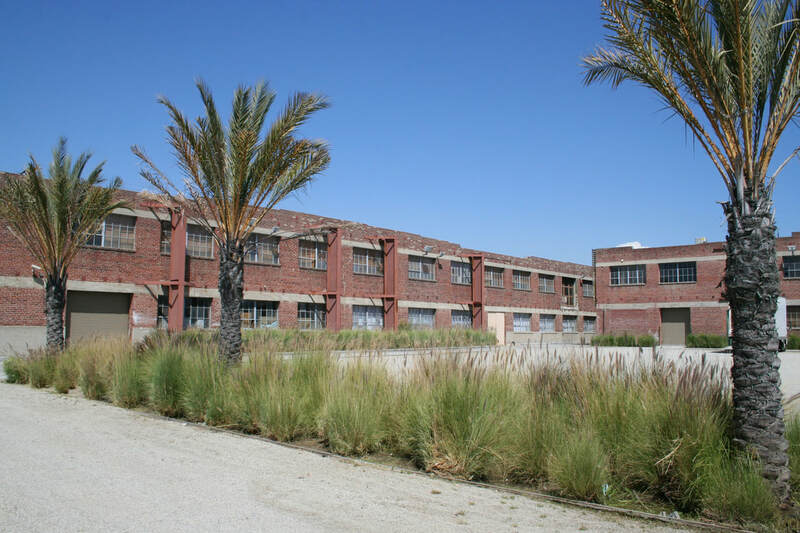 The first building adaptively reused in a master plan to transform an industrial site into commercial spaces, the LA Design Center boldly announces its metamorphosis with graphics and a robust yet elegantly detailed palette of wood, steel and brick. 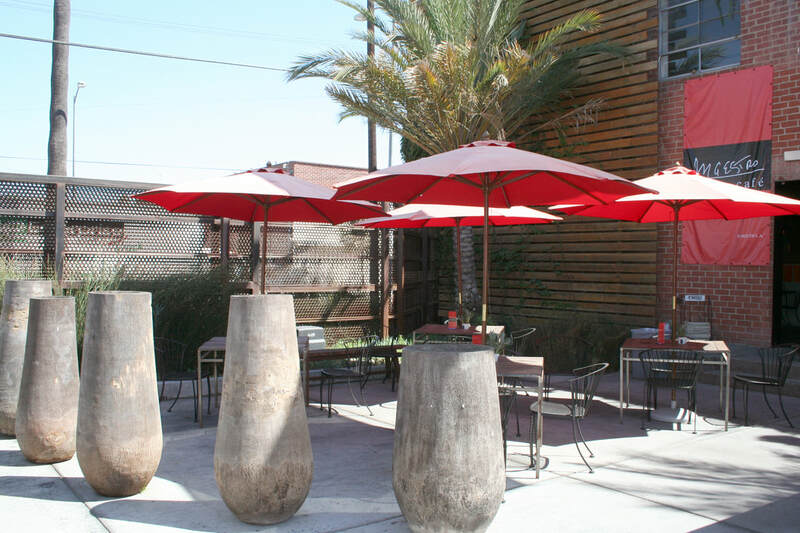 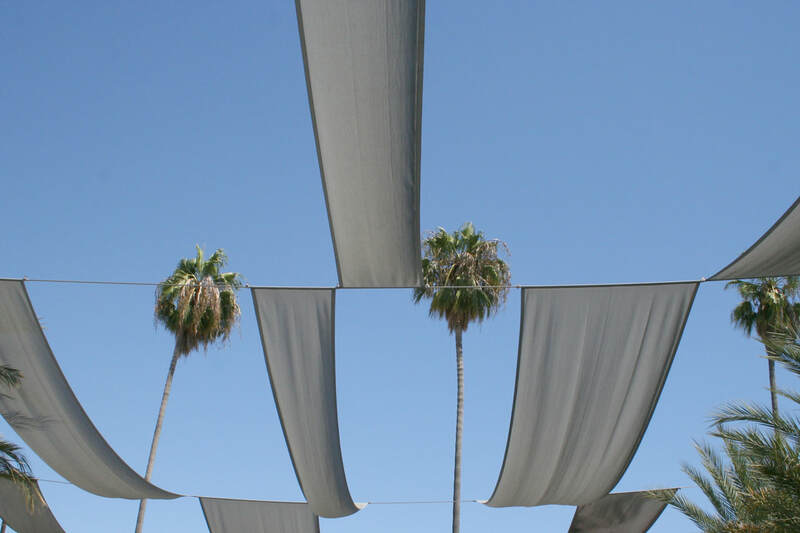 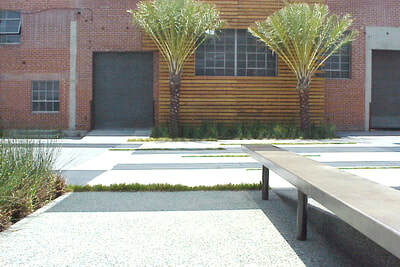 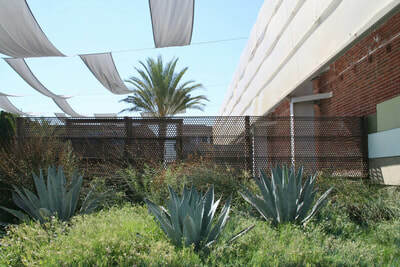 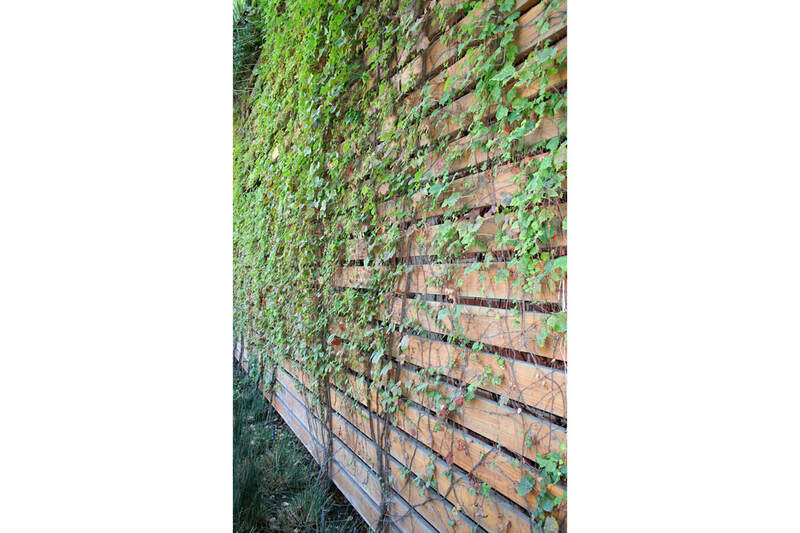 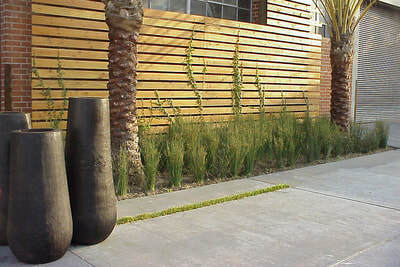 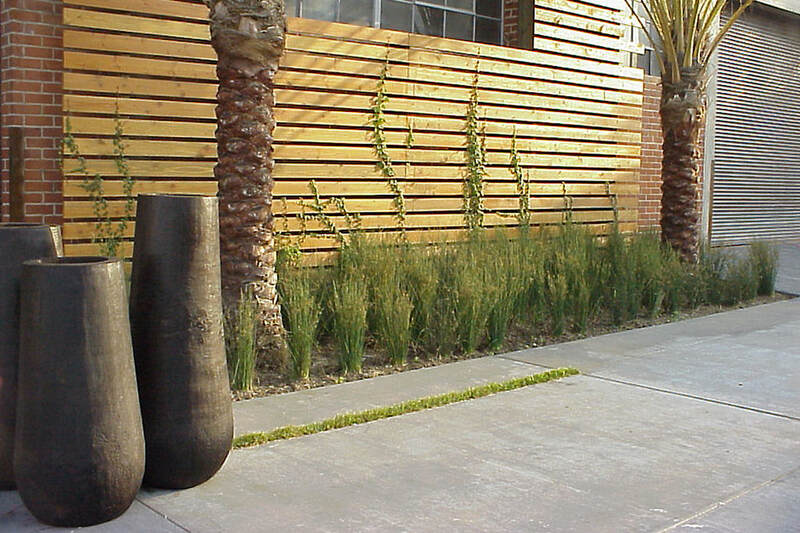 This simple and refined vocabulary is carried through into the sculptural plantings of agaves, palms and grasses. 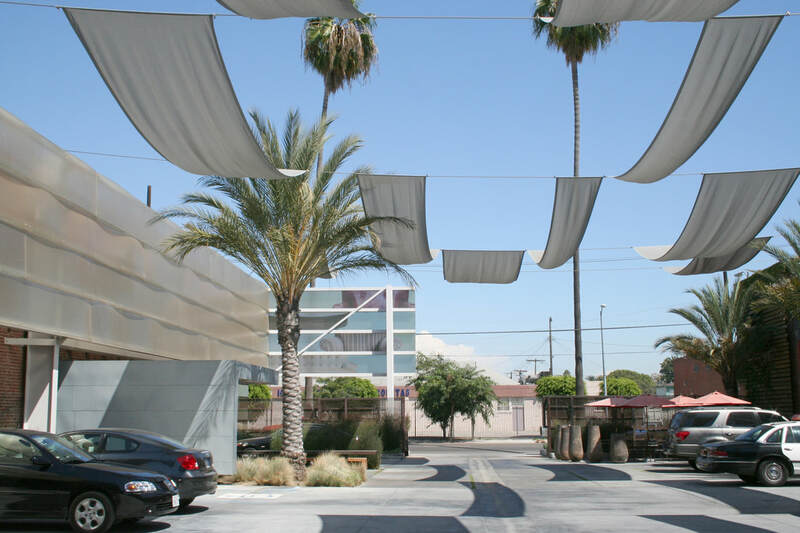 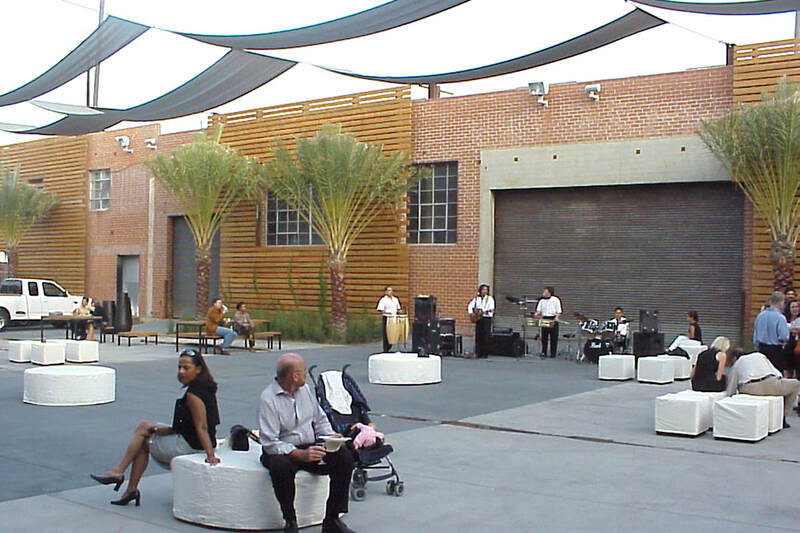 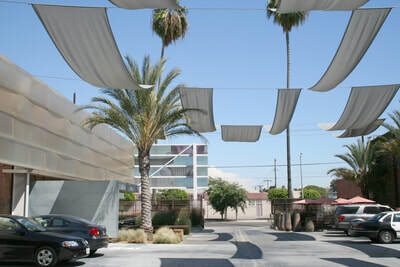 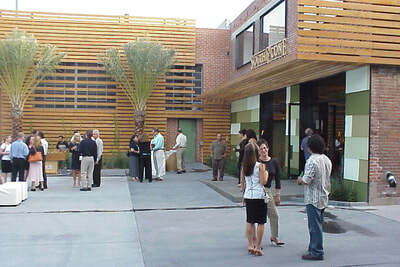 Rather than relegate parking to an afterthought, here the parking “courtyard” serves as the heart of the complex, where a graphic ground plane, built-in benches, and an undulating overhead shade screen assert the space as a communal room for social events and gatherings.